Royalty Free. 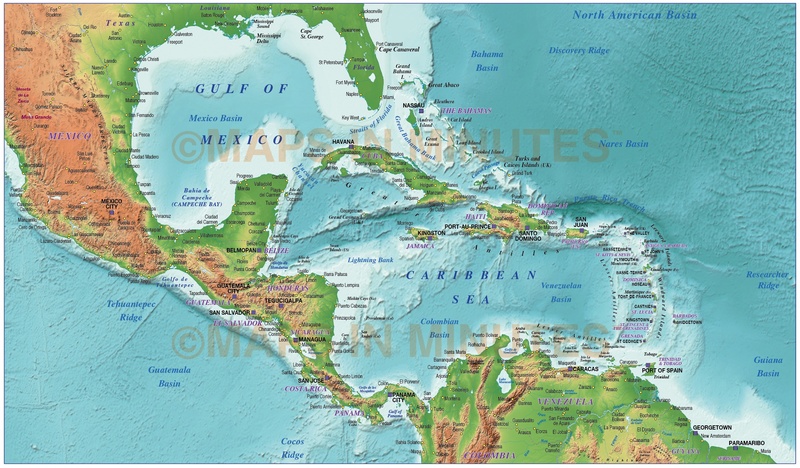 Detailed vector map of Central America @10m scale with both terrain & ocean floor relief. Available in Illustrator CS1 (for use with CS1 to CS6 and later) and also in layered editable PDF format. 100% editable including font text. For use from A4 to A2+. 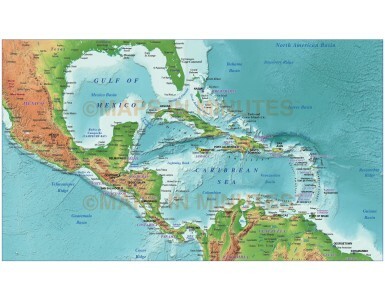 Central America Political map with strong colour high res terrain & ocean floor relief. Large size. 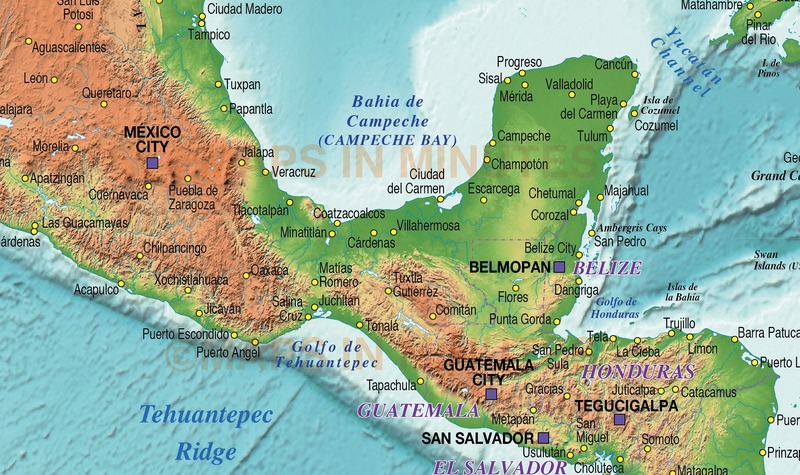 A large scale, high resolution 300dpi strong colour terrain and ocean floor relief map. Fully editable, layered map in Illustrator format.